We accept appliances 12 years in age or less. Appliances must be in good working condition and have all the necessary parts. We accept residential cabinets. Cabinets must have all the drawers and doors and cannot have water damage or structural damage. We also accept cabinet doors and cabinet hardware only in excellent condition. We accept all counter tops that are not particle board. We accept NEW carpet in sizes exceeding 25 square feet, no runners. We accept rugs of any size. Carpets and rugs must be in good condition with no stains, fraying, odors or animal hair. We accept all exterior/interior residential/commercial doors as long as they don't have water damage, and are less than 80" tall or less than 18" wide. Storm doors must have all the necessary tracking. 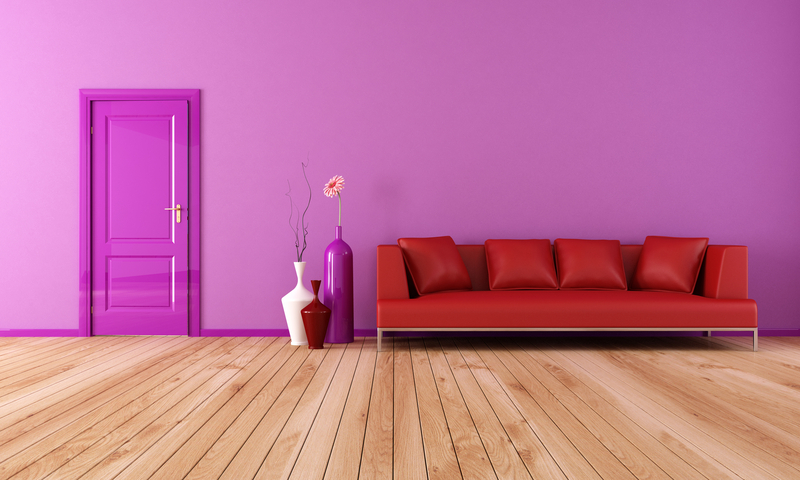 We accept new hardwood, vinyl and laminate flooring in quantities 60 square feet or larger. 12"x12" tile must be donated in quantities 60 square feet or larger. Tile sizes under 12"x12" must be in quantities 10 square feet or larger. We accept mosaic tile in any quantity. We accept new and used furniture in good condition with no structural damage. 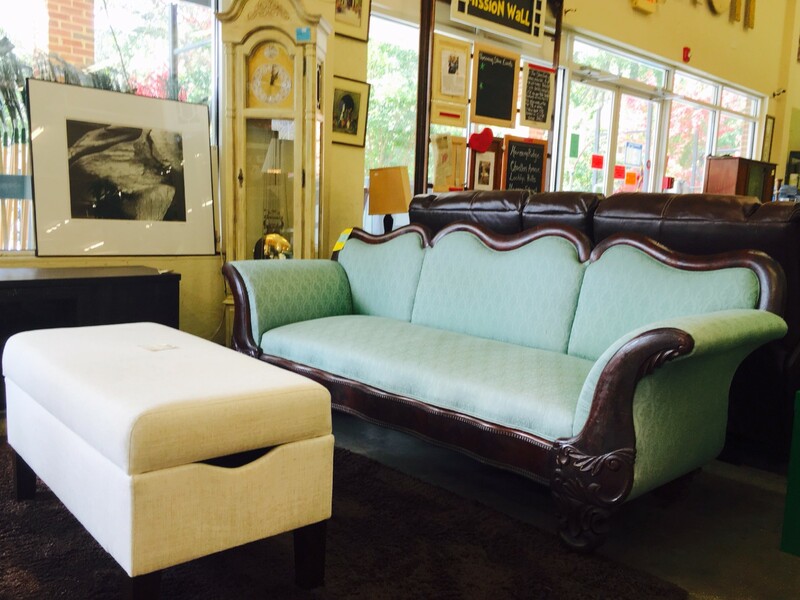 Upholstered furniture cannot have any stains, rips, or animal hair. Used furniture that requires assembly accepted on a limited basis. We do not accept particle board, pressed board or fiber board furniture. We do not accept incomplete bed frames, metal desks, L-shaped or executive desks, box TV entertainment centers, armoires, or china cabinets. We cannot accept mattresses and box springs due to health department regulations. Furniture older than 20 years accepted upon inspection (we love antiques, but we struggle to sell some older styles of furniture). We accept all hardware and tools (hand and power) that are in working order and without rust. We cannot accept lithium or NiCd batteries unable to hold a charge. We accept patio furniture, yard tools and unopened yard care products. We also accept small engine tools such as weed-eaters, leaf blowers and lawn mowers if they are in good working condition and emptied of fuel. We accept commercial and residential electrical supplies including switches, outlets, drop cords, electrical wiring, etc. We are excited to announce that we have begun accepting a limited scope of electronics. Must be 5 years old or less (no VHS). We accept flat screen TV's, stereo systems, speakers and DVD players. We do not accept small appliances such as coffee makers, toaster ovens, blenders, or sewing machines. We accept home decor items such as artwork, vases, candles, decorative tchotchke, artificial plants, etc. We accept light fixtures in working order that don't have pieces missing or broken glass. We do not accept track, fluorescent or recessed lighting. We accept sheet goods (drywall, plywood, pegboard, OSB, etc.) in pieces of 1/2 sheet size or larger. Pieces of siding, trim, molding and lumber must be at least 4' or longer and without protruding nails. We accept cans of paint that are New and unused, provided that the paint can is without rust and has been stored in a temperature-controlled environment. Please make sure you donate paint during Store hours. We accept sinks and tubs in good condition with no scratches, chips or stains. We do not accept pink, yellow, green or blue sinks. Wall-mounting sinks must come with their mounting bracket. All toilets must be low-flow (1.6 gallons per flush or less; this info will be written on the toilet by the toilet seat hinge or somewhere on the inside of the tank.) We do not accept jacuzzi tubs. We do accept walk-in tubs. We accept wooden and vinyl windows provided there is no broken glass or water damage. Window sashes in good condition are accepted. We do not accept storm windows or loose screens. We can no longer accept Blinds or Mini Blinds. Small appliances like coffee makers, toaster ovens, sewing machines, tupperware, miscellaneous dishes or silverware, books, clothes, blankets, blinds or mini blinds. curtains, pillows, mattresses, old TV's, unframed mirrors or glass. We do take pianos through Charlottesville Paino, we do not accept organs.